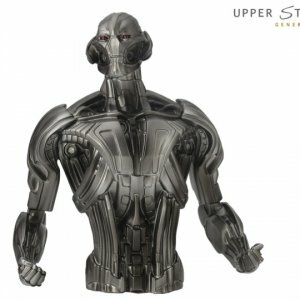 The Avengers Age of Ultron Bust Bank looks just like the fearsome android villain from Marvel’s Avengers: Age of Ultron movie. He will look great among your other collectibles. Measures 8-inches tall. Ages 4 and up. Now thanks to NECA all you have to is just place your Solar Powered Body Knocker in the sun and he'll charge up and start to move! How good is that! Have America's greatest Hero sitting in your bedroom, living room, where ever you like! Collect the entire line of Body Knockers and watch your favorite characters dance the day away! Marvel Black Panther Coffee Mug 3D Moulded Bring the Marvel cinematic universe to life with this amazing mug! This Black Panther Head Molded Mug features the likeness of T'Challa wearing his superhero costume as the mighty Black Panther. 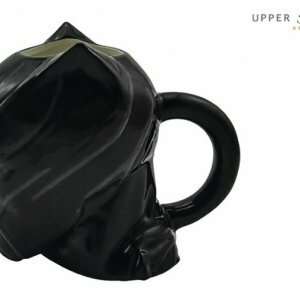 Mug holds up to 16 ounces of liquid. Hand wash only. Not dishwasher safe. Do not microwave. Marvel Comics Coasters Set of 4 Thor, Hulk, Iron Man and Captain America. Pop! Home: Guardians of the Galaxy - Groot Mug Pop Mug. Groot, the beloved flora member of Marvel's Guardians of the Galaxy, now takes the form of a Ceramic Mug! Avengers 2: Age of UItron - Hulk Pop! Home Ceramic Mug. You won't like me when I haven't had my coffee. You will need this Hulk Pop! 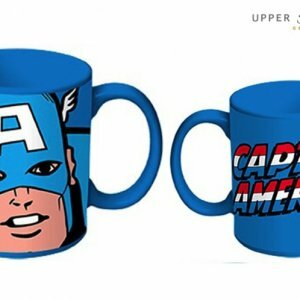 Home Ceramic Mug in your life so you can Hulk SMASH! your morning coffee. 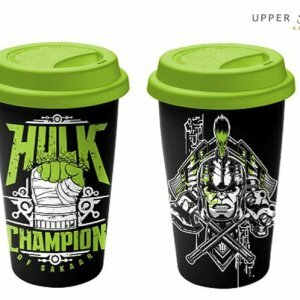 Don't get angry and turn big and green, and rip your clothes off when you haven't had your daily caffeine fix by grabbing one of these mugs. 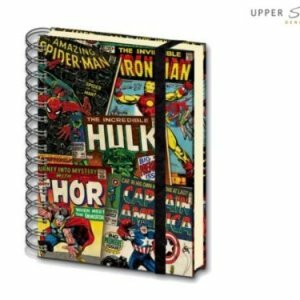 These are perfect for use in the home or office, or for the collector. Avengers 2: Age of UItron - Iron Man Pop! Home Ceramic Mug Many believe Tony Stark is kept alive by the Arc Reactor in his chest, but this is only a half truth. 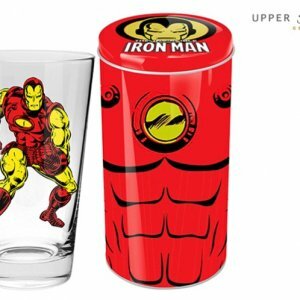 Like most of us, Iron Man himself is kept alive with a daily dose of caffeine. 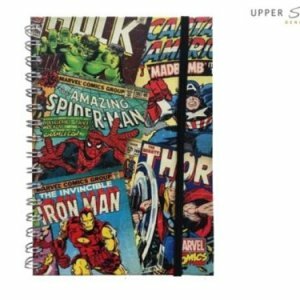 It is widely believed he became addicted to caffeine while he was designing his many various Iron Man suits throughout his career as Iron Man. If you wish you become as rich and successful as Tony Stark then the first step is adding this Iron Man Pop! Home Ceramic Mug to your collection. Perfect for the home, office, or collection. Your friendly neighbourhood Spider-Man has been foiling robberies and other crimes for generations, so he is the perfect choice to protect your spare change for the petty criminals in your neighbourhood. Grab this Spider-Man Bank Bust to keep your change safe, or add it to your Marvel collection. Size Approx. 7(W) x 7.5(H) x 2.5(D) (inches). 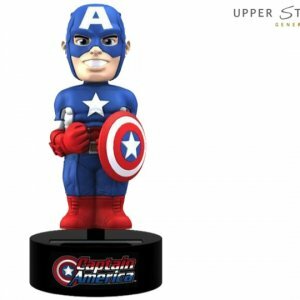 Whether you need an awesome place to store your lose change or a neat decoration for your desk, these Marvel Bust Banks are exactly what you need. This bank features an impeccable design of the hero of the Marvel Universe and can be displayed as a bust or used as a bank. Let Spider-Man himself watch your savings! This coin bank stands approx. 20 cm tall.